The Olympic torch run is coming through Lethbridge today. LETHBRIDGE, AB — JANUARY 17, 2010 Jill Quirk, who competed in the World Championship, Pan American & World Student Games Teams, was the final torchbearer and cauldron lighter in Lethbridge. 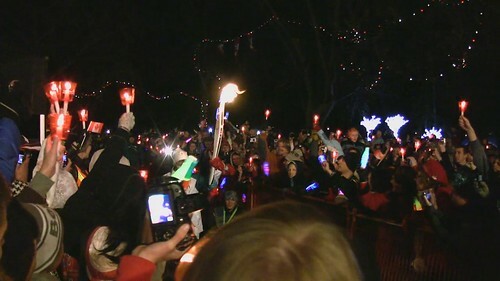 Here she shares the flame with the local community.